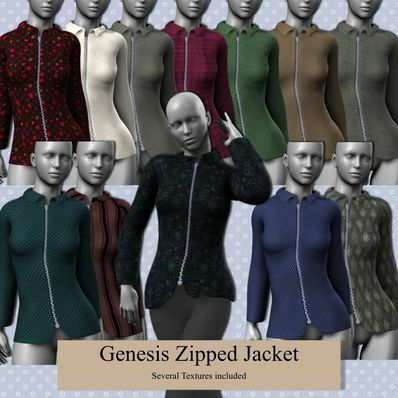 A Zipped Jacket for Genesis for use in Daz Studio 4. Nice work - thank you. Love this jacket and the extra textures, you're the best.